Home / Archive by category "Behavior"
Substitute teaching is wonderful because every moment counts. No classroom management issue can be put off, because sometimes I’m only with kids for an hour or two. Here are some recent highlights of quick moments that worked. It’s amazing how much kids stop interrupting my instructions when I announce, “If you interrupt me, I will start the entire direction again.” After initial moans and gasps, students settle down. Anyone who blurts out is usually glared at by peers. The only thing worse than hearing directions is hearing them twice. There is no better feeling than a tricky kid wanting a teacher to return. Then there are the kids who aren’t problems. These students are the backbone of the class community, the stalwarts who patiently pause in a lesson while the teacher reprimands someone, who do the homework even if it isn’t graded, who get quiet even if most of the class is still talking. They have thankless roles, rarely acknowledged. I was overseeing a class during chorus. It was my job to pick a “star singer,” someone who was setting a good example throughout rehearsal. But of course other things were going on, including two chatty kids giggling to each other. I separated them, and asked one to switch places with a quiet kid. No teacher likes doing this because the good student, of course, doesn’t want to move. This child was no different. She glared at me as she crossed to where the chatter had been. I still had to pick a “star singer.” I could pick the good kid. Or I could give her some power. I stepped over to her while the teacher was rehearsing other singers. “Since I don’t know your class very well, can you pick a star singer and tell me who it is?” She smiled. I added, “Make sure it’s someone who doesn’t usually get picked.” She nodded conspiratorially. I don’t know if she actually chose someone unusual, but she solemnly walked up to me when it was time for me to announce the student. I had owed her for moving, and she was grateful to have been acknowledged. Her initial glare had transformed into a collegial smile. Kids let me know if I’m creating a place where they feel engaged and valued. Whether with funny voices, happy points, or an easy management job, I try to welcome all kids into learning. It doesn’t always work, but overall it’s pretty rewarding. Another school year begins. With the year comes new and returning students who have new and returning issues. With those issues comes – once again – the behavior challenges. Many schools hire educators who are trained applied behavior analysis (ABA) to work with students. Even though people need to be trained in ABA in order to use the physical restraint elements of it, ABA does break down behavior in a way that can be helpful to any parent or educator. The adult needs to engender complete trust in a child, not just as a teacher but as a bringer of joy. The child’s trust in the adult is central to changing behavior. The adult also needs to look beyond the problematic situation to see a series of elements that can be manipulated. The child then becomes a partner in changing those elements until, WOW! the child is gaining freedom from the limiting behavior. If you’re interested in a clear explanation of different kinds of motivations for kids, look at the chapter 3, “What is ABA?” in Success Strategies for Teaching Kids With Autism by Wendy Ashcoft and Sue Argiro, Joyce Keohane. The strategies are applicable to many types of kids. This is certainly not the only resource out there, but it was short and available at my library! Good luck, and get ready to focus and celebrate! Meet kids where they are. THEN teach. I am constantly learning and re-learning this. What goal are you trying to reach with the child? What is getting in the child’s way of meeting the goal? THAT’S what you work on. If a particular behavior is preventing the child from accessing the curriculum – or life – then simplify your routines with the child until the behavior is exposed. The child needs to see the behavior, separated from current consequences. Sometimes kids don’t distinguish their actions as separate from the causes and results. After the child knows which specific behavior you are working on together, begin creative celebrations. Have fun by rewarding the child for any progress. Maybe the child is diminishing an unwanted behavior or maybe s/he is starting a positive behavior. Your goal is to make the new way more engaging for the child than doing things the old way. New routines need to be more energizing to a child than the familiar. Yes, you need to be ready to give consequences as well. But a child’s pure connection with you the adult will be a huge motivator. By focusing on removing one barrier joyfully and diligently, you may find that the child is ready for learning far more quickly than you thought possible. Earlier this spring, I wrote about teaching without quieting kids. I had just substituted in a class of unusual Kindergarteners. They were so disciplined that, with little encouragement from me, they used their class’s quiet sign to settle each other. My encouragement? Simply to give them a point each time they quieted themselves without my prompting. By the end of the day, the urchins had amassed 15 points. The district record was broken four days ago by some second graders (whose room is adjacent to previous record-holders): 22 points. I keep a list of classroom totals so that each group can compete with its school or grade level, as seems attainable. It’s fun for the kids and for me. Kids’ eyes light up when I tell them that for five and ten happy points, I’ll do a “teacher happy dance.” For 15 points, THEY get to do a classroom happy dance (quietly). That’s the extent of the reward. A few seconds of physical joy. Considering how much time we teachers spend quieting our classes, it’s a big deal for the kids to take that responsibility. How empowering for them to see that they can manage noise themselves! It’s not just for the usual leaders in the room. Quiet kids can manage the process just as easily as chatty kids. In my next entries, I will describe the process, and note the benefits and challenges of this happy point process. You should see a group of 24 8-year-olds trying to make themselves quiet. In my previous entry, I explained the emerging and accidental phenomenon of my classroom management activity, Happy Points. Here’s how a class earns a Happy Point. A few students notice excessive talking and put up the class’s quiet sign (either two fingers, like the peace sign, or the “quiet coyote” sign of middle two fingers touching the thumb, with index and pinky pointed up). Other kids hold up their hands until everyone is looking at each other. Now for the tricky part. They need to determine – wordlessly and as a class – when the room is quiet. As a group, they put down their quiet signals. Without any noise, everyone gets back to work (or look at me, if I need their attention). Only after everyone is working in the newly quieted room do I give the happy point. We practice it. I give half a point for the practice, or a full point if it seems like they could use some encouragement. Students sometimes are taken aback because I don’t give points to individual kids. Many classrooms use have individual point systems. I ask students, “Have you ever noticed that someone else got a point and you didn’t, even though you were doing something good, too?” About 80% of the hands go up. “That’s why I don’t do it. Besides, I’m sub. I can’t keep track of each of you enough to be fair.” That usually settles it. Sometimes when it’s time to put a point on the board, I have a student write it instead of me. This can be time-consuming, and not everyone will get a turn. But it is fun. They absolutely love it. I can take points away. I rarely do, but it’s an easy threat to carry out. I also can make small changes to the requirements. I decreed that a squirrelly class sit “criss-crossed applesauce” (what we knew as “Indian style”) in addition to being quiet. They proceeded to do it – and break the district record. I tell classes that acquiring points gets harder as the day progresses. They generally peak between 10:00 am and 12:30. After that, some kids get grumpy, others get distracted. I tell them that if they want the high number of points, they need to work extra hard in the afternoon. Amazingly, those squirrelly kids who needed to sit criss-cross proceeded to quiet themselves when I turned my back them. I needed to answer the phone, which of course was on the other side of the room. There they were on the rug – a recipe for chaos. When I returned to them, an easel between them and me at that! – they were sitting doing the quiet sign and looking at me. I gave them two points. My next entry will offer some reflection on the challenges and the benefits that I’ve seen from Happy Points. The students are not really aware of each other. The kids’ informal social structure is comprised of smaller groups without a cohesive group dynamic. For a class to get happy points, everyone must pay attention and communicate nonverbally. No child can quiet the room without buy-in from everyone else. Sometimes the schedule of the day doesn’t lend itself to being quiet. There might be a special school activity. We might combine with another class for a project or video. In these cases, the students don’t have as much control over their classroom environment to get those points. After a class learns the routine, some kids get bossy about quieting the class, thereby ruining the … well, the happiness of it. I am learning to stay in control of the class, even as they amass the points. I need to emphasize the quietness of quieting the class and how each student needs to respect everyone else. Amazingly, kids are responsive to this – if I do my part. Even low-scoring days are full of benefits. Kids know that they are the first responders to noise, not I. If I resort to quieting them, they know that they have not done their job. This dynamic is vastly different from the norm, where the teacher is the only noise moderator. Classes on low-scoring days also benefit from competing with other groups. One day my class joined one across the hall. My class walked in silently and I announced, “You can’t tell because they’re being quiet, but they just beat the town record for happy points – 17 points!” The other teacher asked his class, “How many happy points did you get with Ms. Dreisbach?” “Six,” was the sullen reply. But there was still a bit of fun in the exchange. It’s hard to be upset about something called happy points. You win some, you lose some. The low scorers were still in the game, still part of the conversation. I asked a class of second graders what they thought about the happy points. Their responses showed an emerging community and persistence. We help each other more. We’re working together because we’re trying to get a point. When we lost a point, we didn’t give up. I love seeing the students communicate with each other. I love their pride as their points go on the board and their joy at happy dances. In my previous entry, I described Thinking in Pictures, by Temple Grandin and how she describes effective education for students with autism. Grandin also explores the fine line between disability and genius, writing, “People labeled autistic have an extreme form of traits found in normal people.” (page 177) Genius is the ability to see and create what most people cannot do. Grandin posits,“If the genes that cause autism and other disorders such as manic-depression were eliminated, the world might be left to boring conformists with few creative ideas.” (page 178) For people experiencing autism and other conditions, the line between genius and disability may not exist at all. One can create while simultaneously struggling with the disability. Grandin refers to a study that found that 80% of writers have had a mood disorder at some point in their lives. She describes traits of Einstein and van Gogh that mimicked autism. As an educator, the part of the book that most resonated for me was Grandin’s observation, “As I grew older, the people who were of the greatest assistance were always the more creative, unconventional types.” (page 98) I consider myself to be a creative and nonconformist teacher, and my greatest joy is helping students use their own unconventionalities as strengths. Grandin states, “I think there is too much emphasis on deficits and not enough emphasis on developing abilities.” (page 100) This often involves teaching in ways that are contrary to standard methods. Teachers are vital in showing students that what makes them different is what can make them greatness. Not all people with disabilities will achieve what Grandin has, both as an animal scientist and speaker. At the time of the book, she had designed one-third of all the livestock-handling facilities in the United States and was a well-known speaker about autism. But all of us teachers and parents can help students to reach beyond their safety zones to be unique gifts to the world. I just read Thinking in Pictures by Temple Grandin (1995). Grandin is a scientist who has autism. In the book, Grandin describes her way of thinking, which is visual and non-linear, and how she adapts to the non-autistic world, which is usually verbal and linear. She describes her education, which included teachers who were intolerant of her autistism-caused behaviors and teachers who showed her how to use those behaviors to help people and animals. Her behaviors included repetitive motions, avoiding eye contact, and seeking ways to squeeze her body for comfort. When Grandin was very young, her repetitive behaviors insulated her from an over-stimulating world. The teachers who were helpful – and her parents – acknowledged that she needed to withdraw. They also knew that Grandin needed to be part of the public world. “When my speech therapist held my chin and forced me to look at her, it jerked me out of my private world…Almost half of all very young children with autism respond to gently intrusive programs in which they are constantly encouraged to look at the teacher and interact.” (pages 52, 53) But if instructors intrude too much, children may turn off or tantrum. Teachers and caregivers need to find that line to guide the child into reality. In high school, Grandin’s science teacher built on her literal and visual mindset by challenging her to explore why certain thoughts and behaviors comforted her. Grandin had always used the imagery of doors to understand life progressions, so her science teacher encouraged her to study philosophy. This way, she could understand that her imagery was part of a tradition of thought. Also earlier in her life, Grandin had designed a machine to squeeze her body for comfort. Her science teacher encouraged her to learn why the device helped her. In the process, the instructor taught Grandin how to do scientific research. “Instead of taking my weird device away, he used it to motivate me to study, to get good grades, and to go to college.” Even in college, Grandin visited him on weekends for encouragement and support. Because of insightful teachers, Grandin was able to persevere and earn her Ph.D. Her education combined with her love of animals and her autism-caused emotional detachment helped her enter a world that few of us would willingly engage: slaughterhouses. She has designed devises and facilities for cattle processing that cause less suffering to the animals. Her achievements would not likely have been possible without her disability, which my next entry will explore. Thinking in Pictures helps non-autistic readers to understand the different experiences and the gifts of people with autism. If you had told me that a class was self-regulating to the point that I did not need to tell them when to be quiet . . .
well, I wouldn’t have believed you. Maybe there are some classes that can do that with their regular teachers, but with a substitute? Not a chance. Then I met this Kindergarten class. That’s right. Kindergarten. I started the day by introducing myself, shaking all of their hands like I always do. They reminded me that they had met me before. There was no need for introductions. I began my “If you can hear me, point at me,” which I do to quiet kids. They were quiet and pointing before I had finished the sentence. Were they really ready for more? They used “Quiet coyote” – lifting their index fingers and pinkies to signal each other to quiet. They earned a point. Then another point. Then another point. By the end of the day, they had ten points. They didn’t get anything for the points. Well, I did a teacher happy dance after each group of five. They laughed. The next day, I told a second grade class what had happened. Kindergarteners, I said. Oh they wanted the challenge. I am teaching without quieting children. Not all classes will be like this, but I am truly amazed at what kids can do if given the chance. Classroom management is an enormous part of a teacher’s day. The choices that a teacher makes regarding classroom management affect students’ learning, their self-esteem, their focus, and the teacher’s energy level at the end of the day. What do you do when a child is acting up? For instance, say you want the kids to sit on the rug. Cassie and Grace are walking around behind everyone. Or later on, you want everyone to work. Vitor and Dan are talking. I have stopped naming kids who are misbehaving. I rarely say names to complement or to reprimand. Or my favorite, when one kid is making kids laugh by talking out of turn, “If you are ignoring distractions in the room, give yourself a pat on the back.” Now all the kids who were NOT laughing have something to do. Sometimes the kids who were doing the distracting actually pat themselves on the back. That’s okay. The other kids take care of it, “Cassie, you weren’t ignoring the distraction. You WERE this distraction!” But if Cassie wants to pat herself on the back like everyone else, then she is choosing to be a part of the group and not distinguish herself by talking out. I’ve stopped saying names because singling kids out frays the community. In fact, sometimes it backfires because kids don’t want the recognition. Raphael may not want the class to know that he is working hard. Emery might be sitting well, but also might be fighting with her friends and has nothing else to do. Singling her out may emphasize that she has no one to talk to today. This is particularly true for middle school and high school kids. Also, I might complement Emery while missing that Ryan been sitting well for a longer time. Maybe Ryan trying something new today. He’s not on my radar as a “good kid” yet. It’s not that I’m ignoring him. It’s just that I’m not yet catching that he’s trying to change. However, if I say, “I see lots of kids sitting quietly on the rug,” then Emery and Ryan both know that I mean them. By giving a general statement, I complement way more kids than I could individually notice. Also, the students who are not following directions hear “Everyone else is doing it” – and almost always do the right thing. By saying, “I see lots of kids…” I imply that the majority of the group is doing the right thing. Sometimes, this comforts me. See, Dawn? Most of them are doing it. Also, saying “I see lots of kids…” is WAY less work. I don’t have to wonder if I’m complementing Sarah for the fourth time today. I find that by talking to the class as a whole, I have more energy at the end of the day. I haven’t been trying to keep up with every nuance in the room. I have treated the class as a community, with individual feedback when warranted. I find that I build better relationships with kids and they treat each other more as community members. A class that sees itself as a community will have better discipline and more focused learning. 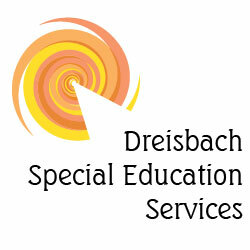 © 2016 Dreisbach Special Education Services | Website customization by Turek Web Design.